My family can’t get enough of holidays on South East Asian beaches. 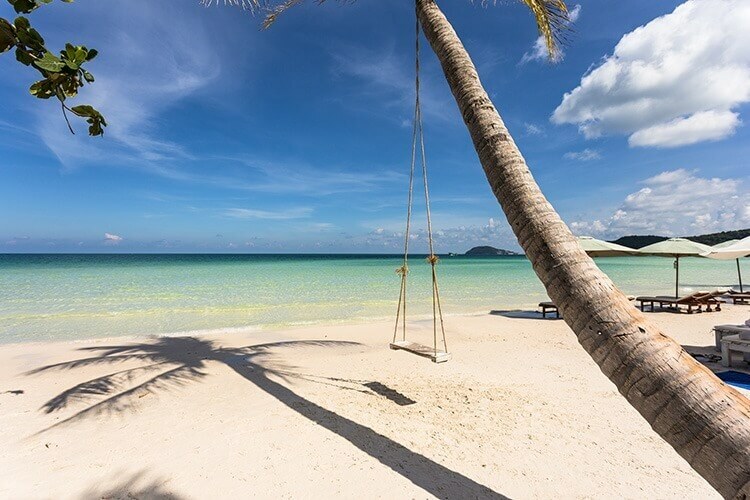 We have visited the beaches of Thailand, Indonesia and Malaysia multiple times but recently we discovered one of the most beautiful beach destinations in South East Asia – Phu Quoc, Vietnam. After a busy 3 weeks travelling the mainland of Vietnam we spent 5 wonderful days relaxing on Phu Quoc Island. Our days were spent lying around for hours on stunning beaches, followed by a swim in the warm ocean, massages, and cocktails as we watched spectacular sunsets and delicious dinners at cafes directly on the beach. 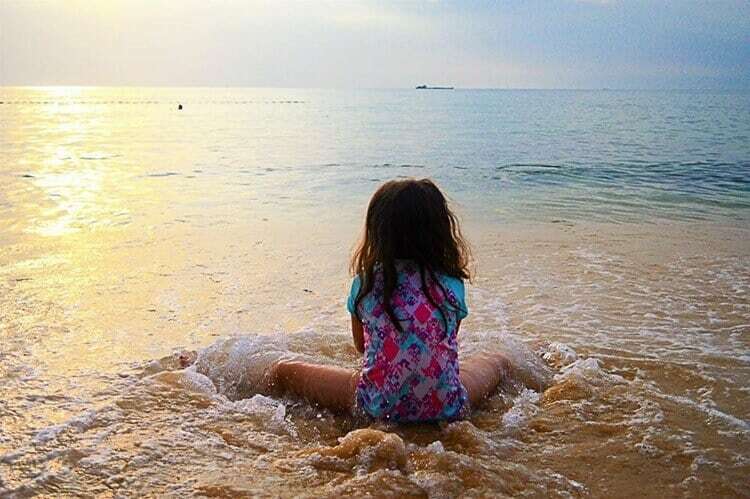 If I haven’t yet convinced you to come to Phu Quoc, here are my top 10 things to do in Phu Quoc with kids or without kids. 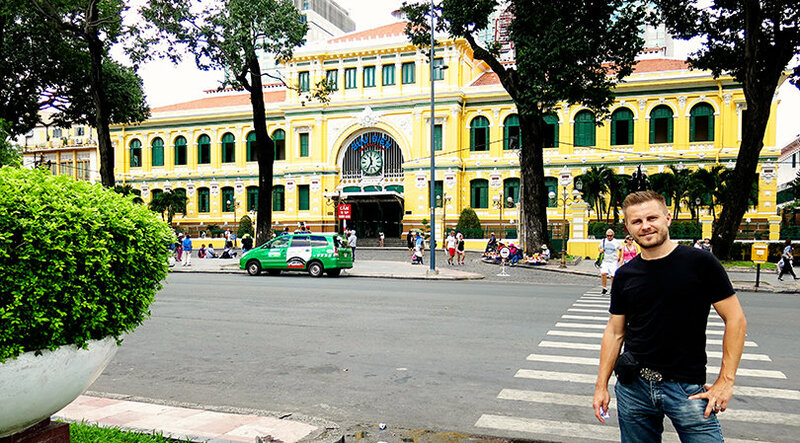 You might also be interested in grabbing some travel advice for Phu Quoc, so you can read up on what to expect before you go. I don’t think I have ever visited an island with so many different stunning beaches. 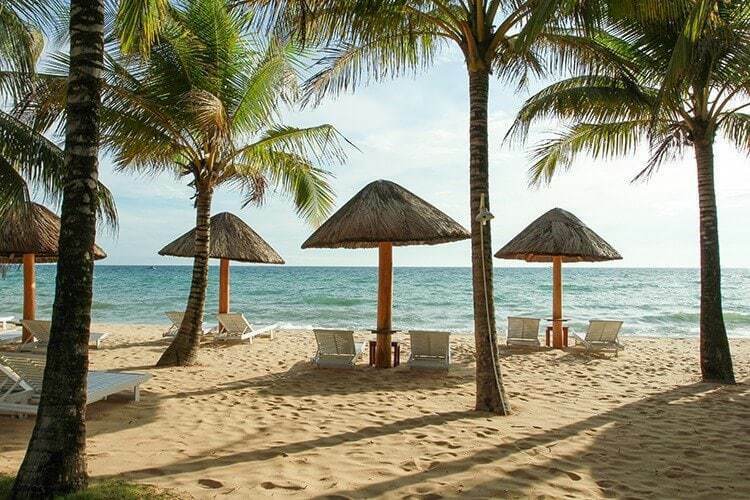 Seriously Phu Quoc Island has some of the best beaches in the world. The beaches have soft fine white sand and are fringed by coconut trees – yes right out of a postcard. Some beaches have warm, crystal clear and calm waters, whilst others have soft waves. Some beaches are so isolated that there is no one else there but you! My favourite beaches by far are Long Beach and Ong Lang Beach – both very similar in that the ocean is calm here, resembling a warm swimming pool which is my kind of beach. 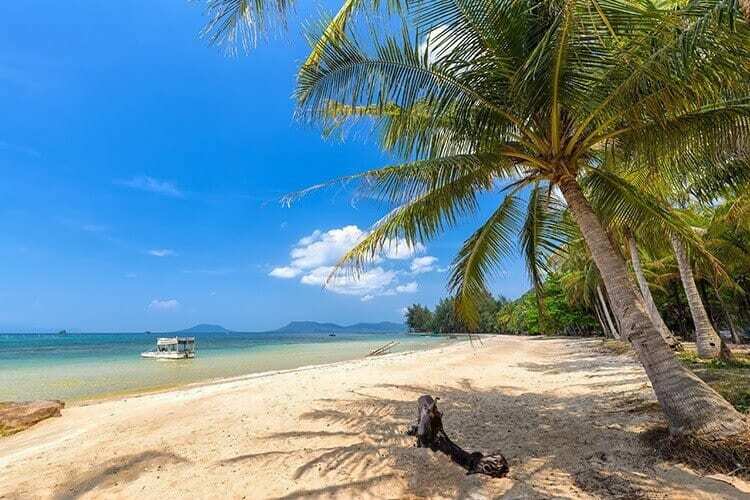 The most famous beach and possibly the best beach in Phu Quoc Island is Bai Sao Beach where the ocean has soft waves and various swings for your Instagram photos. If you thought Phu Quoc Island was stunning, wait till you see the gorgeous An Thoi Islands!! Just off the southern end of Phu Quoc Island, you will find 15 tiny islands which make up the An Thoi Islands. The various islands are perfect for spending the day snorkelling, swimming, and fishing. You can join various boat trips or even charter your own private boat. Just book in advance as these tours do book out quickly. 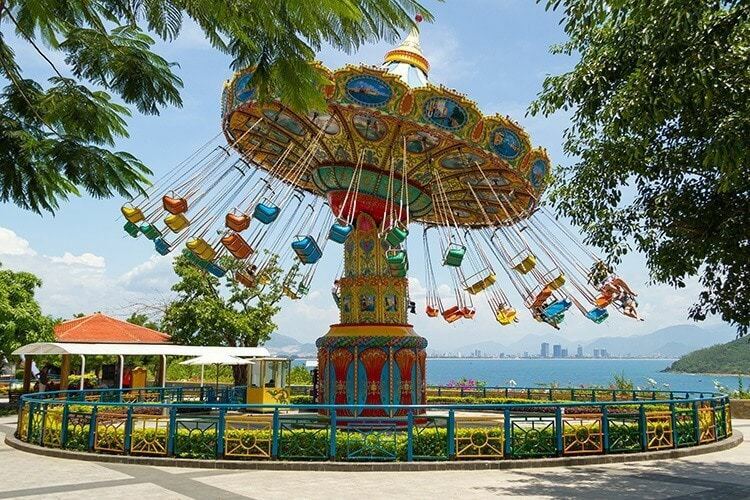 First up I will be honest and say that we didn’t make it to Vinpearl Land during our last trip – couldn’t pull us away from the beaches – but for families who love visiting amusement parks, then Phu Quoc has its very own park on the island. Vinpearl Land is a massive park which contains an outdoor water park, outdoor and indoor arcade centres, rides, shows, an aquarium and shopping precinct. The park is open daily between the hours of 9 am and 9 pm. You can either hire motorbikes, a car or join a day tour and go exploring the island. Check out places such as some of those beaches I mentioned above and visit the various tiny little local villages, like Gahn Dau – stop in the local bakery here and eat delicious baked goods. 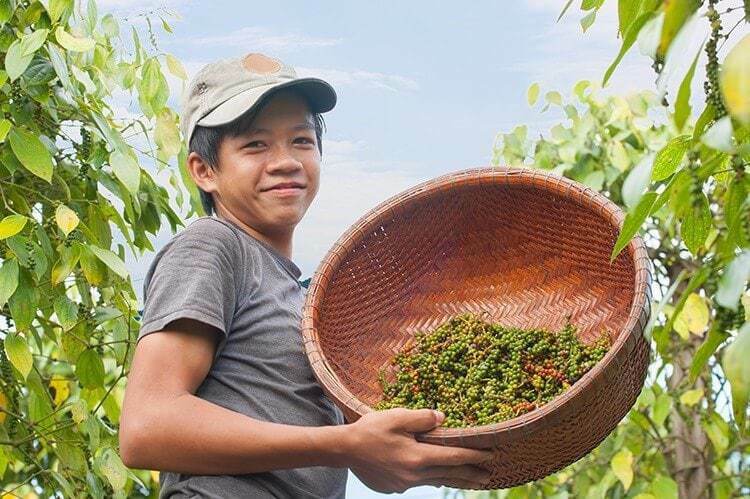 Other places you may like to visit include the Pepper Plantations, Phu Quoc National Park, and Fish Sauce Factory. There are plenty of ladies offering massages and various beauty treatments along the beach. Whether you are after a full body massage, good foot rub, pedicure or manicure what better place to be pampered than right on the beach. 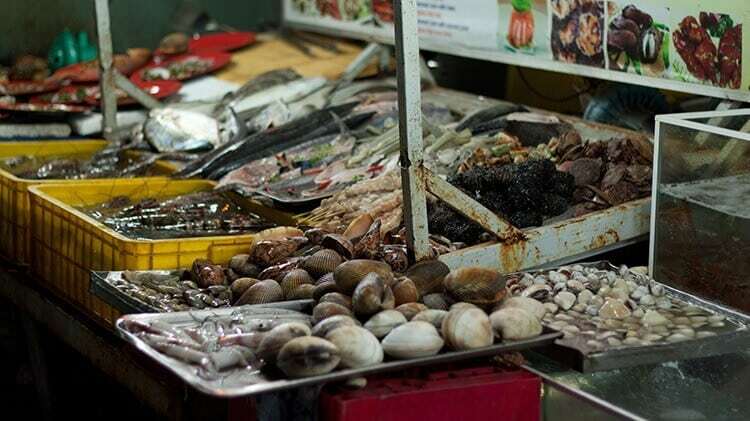 Unlike most South East Asian markets, this is not really where you come to buy a bunch of dodgy souvenirs – this is mainly a place for fresh seafood and local Vietnamese food. If your keen to try the local delicacies you can even choose a live frog or snake which will be cooked fresh for you (yeah no, I’m good!). One of our favourite things to eat at the night markets is yummy rolled ice cream – I love this stuff!! They have a variety of flavours which they mash into the fresh ice cream and roll it into little cups – delicious!! You can visit the Dinh Cau night markets any night of week between 5 to 10 pm. My all-time favourite thing to do in Phu Quoc, is to spend hours doing not much on the beach. 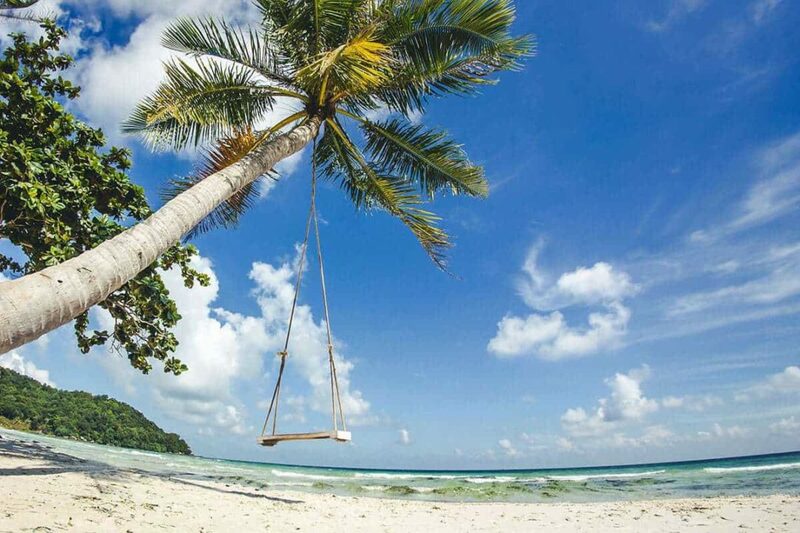 I just love lying in a comfy beach chair catching some sun, read a bit, swim a bit, have a drink or two. I can do this all day. After a hard day on the beach, or perhaps being out and about exploring the island, find yourself a bean bag on the beach at a trendy beach bar, order yourself a cocktail and watch the spectacular sunset. If you are like me and travel with kids, beach bars are perfect as the kids can play in the sand, even swim whilst the adults unwind with a few drinks. One of our favourite spots to do this was at Rory’s beach bar. The bar has colourful lanterns, beach chairs, and tables right on the beach. The owner, Rory, is great with the kids. Whilst we were there he dressed up as a pirate, complete with a bird on his shoulder and told the kids stories about pirates and hidden treasures, whilst the parents relaxed. Once the sun sets, Rory’s has beach bonfires and delicious meals. Cau Temple is located just by the Duong Dong Fishing Harbour and is an oddly shaped rock formation which local fisherman pray to before heading off to fish. The temple has a brightly coloured lighthouse and Buddhist shrine making it totally Instragramable. You can walk to the top of the temple for fantastic views of Dinh Cau Beach and fishing boats. Dinh Cau Rock is also a fantastic spot to photograph the sunset. 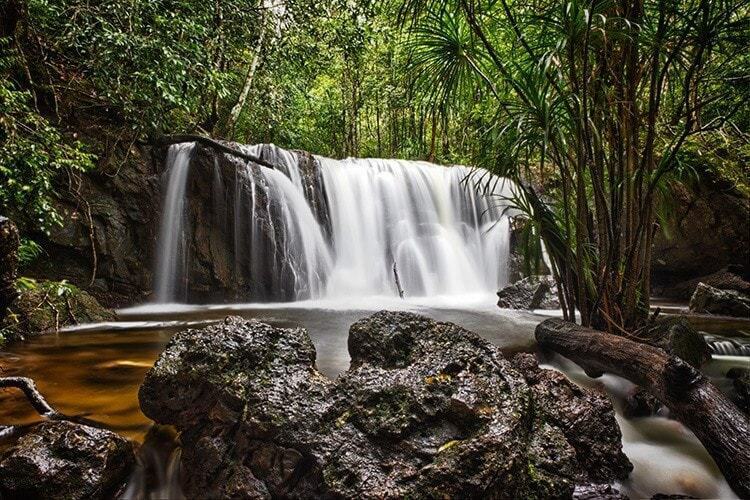 Suoi Tranh Waterfall is not very high at only 4 metres but is in a lovely spot surrounded by lush rainforest, caves and rock pools. It is an easy 10 to 15-minute walk to reach the waterfalls from the main entrance. For those who love hikes, you can walk a bit further past the waterfall, around 15 kilometres and you will reach Hang Doi (Grotto of Bats) which is a cave formation only 200 metres in height with stalactites. 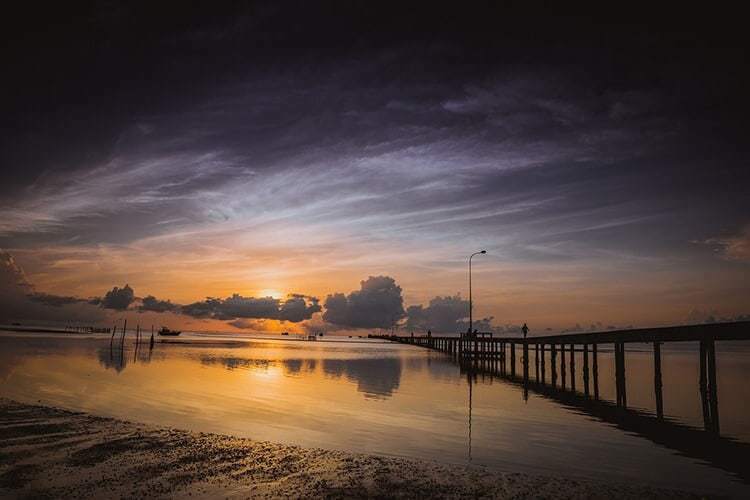 Which of the top 10 things to do in Phu Quoc, Vietnam do you want to see or do? 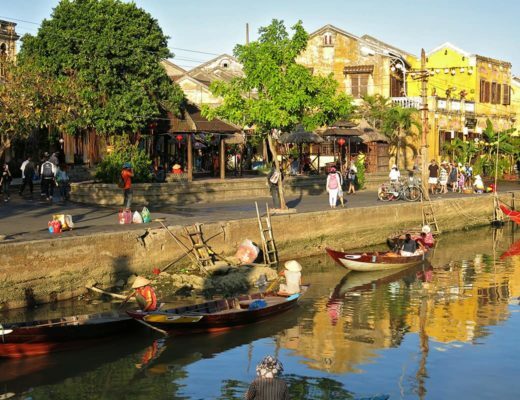 The Best Vietnam Tour Packages of 2018 | Adventure, Classic, Family & More! No one can deny that Phu Quoc is amazingly beautiful. Nice article thanks. I’m travelling there tomorrow with my family so I appreciate the family friendly tips, like the beachside bar at sunset. The bat cave is a great tip, I’m not sure why but we are mad about caves. And it should make a nice double header with the waterfall. Beautiful! A bit of adventure on a holiday is always a good idea in my opinion. 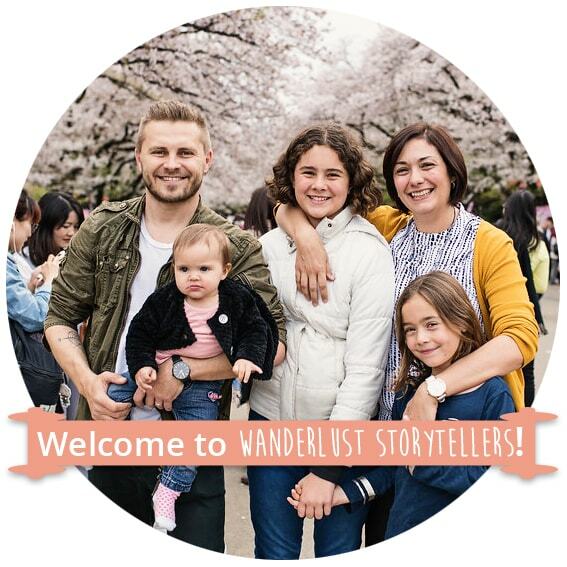 Hope you guys have a fabulous trip!